For ten years Bill Stokes was a roving reporter and columnist for the Milwaukee Journal. He has written reams of material about his vivid impressions of people, animals, events, personal activities, and "things in general." Through his travels, Bill has met with the unusual and unique to the humorous, trivial, and tragic. This select group from his collection of stories and columns indicates the broad scope of his journalistic efforts, brilliant talents, and professional ability. 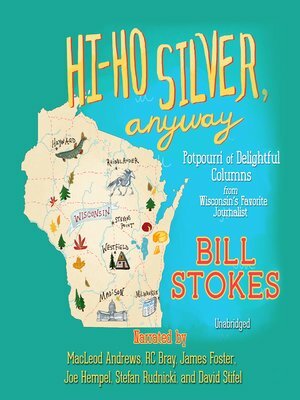 Listeners will enjoy this potpourri of delightful columns as they move with Bill through the seasonal changes of life in Wisconsin. People rarely succeed at anything unless they have fun doing it. Bill Stokes obviously enjoys his role as Wisconsin's favorite journalist. In this delightful book he shares that fun with all.